Seychells Nation 09-November-2016:Teachers from primary and secondary schools in Seychelles have taken part in a workshop to learn more about solar photovoltaic (PV) technology and how to apply it in the classroom. Thirty-five teachers gave up part of their half-term holiday to take part in the workshop organised by the NGO Sustainability for Seychelles (S4S) in collaboration with the Ministry of Education and with support from the UNDP/GEF Project Coordination Unit of the Ministry of Environment, Energy and Climate Change, the Seychelles Energy Commission, and Climate Caring, a local PV supplier company. The workshop, which took place on October 31, included a general introduction to climate change and the different renewable energy technologies that can help Seychelles reduce our greenhouse gases and carbon footprint. Then teachers had the opportunity to familiarise themselves with solar PV technology through a hands-on session working in groups to build a simple device powered by a solar panel. The teachers built lamps, fans, a pulley and even a mini solar car! The workshop forms part of a project being implemented by S4S with funding support from the Canada Fund for Local Initiatives (CFLI). 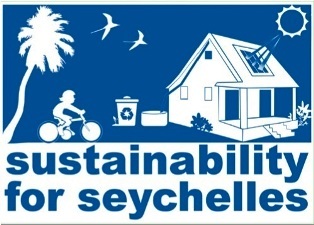 The aim of this project is to provide schools with the knowledge and equipment needed to introduce solar PV into science and technology lessons in schools to help young people develop into Seychelles’ new eco-conscious and technology-savvy generation. It also complements the solar school programme that was launched in November 2015 under the GOS-UNDP-GEF PV project allowing a greater appreciation for not only the benefits of PV but also alternative uses. Every state primary and secondary school will receive a solar PV education kit which includes a solar panel, charge controller, wiring, motor, tools and several other resources to support teaching and learning. The kit can be used in lessons as well as by clubs for science fair projects. The kits will be available in schools before the end of November, 2016.